At 6 months, you may have noticed your newborn has reached some important development milestones. Your baby is starting to become aware of their surroundings, particularly with communicating and speech. They may begin teething, and solid food will start entering their diet. They might start sitting up, standing, and taking their first steps. And sleepwise, Baby may begin settling into a more regular sleep schedule. 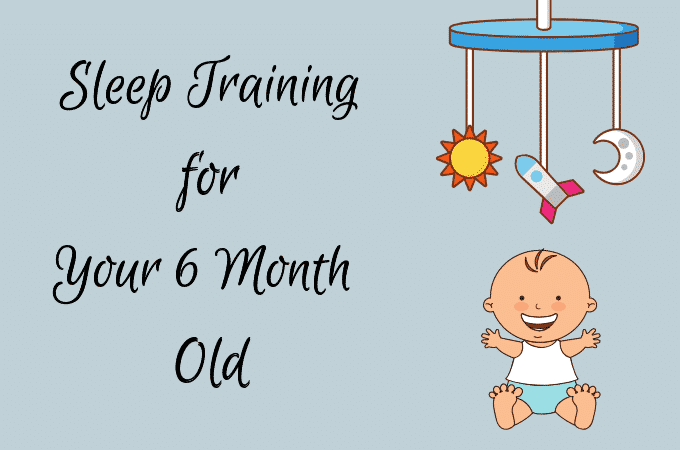 Why is 6 months old a good age for sleep training? During the first 3 months of a baby’s life, they’ll sleep for most of the day and wake to eat. At 4 months, sleep regressions can often occur. Because your baby’s brain is developing rapidly, shifting from light sleep to deep sleep, their established sleeping habits can become disrupted. After that common sleep regression at 4 months, your baby may be ready for sleep training at 6 months. During this age, Baby’s sleep schedule is more similar to yours: their longest sleep is at night, and if she wakes, she can fall back asleep. To begin sleep training for your 6-month-old, it’s helpful to understand how they’re developing and what may be causing them to stay awake. As we said, your baby is very aware of their environment at this age, and they’re starting to communicate with body language and speech. This fascination with their surroundings can be overstimulating! To prepare for sleep, Baby should relax and take a break from social interaction. A consistent bedtime routine can help your baby wind down and become sleepy. Your baby is likely still breastfeeding or taking formula, but at 6 months, they can be introduced to solid foods. They’ll also still want 1 or 2 feedings overnight, which happens through the first 9 months. Remember that you know your baby best. You’ll be able to decide if your baby is truly hungry in the middle of the night. If your baby seems to want more than 2 overnight feedings, she may have developed a sleep association with feeding, and is not actually hungry. No matter which sleep training method you choose for your baby, it’s important to be patient and consistent. You and your partner should agree on your sleep training method: what to do when Baby wakes, how to soothe them, and so on. When you and your partner consistently care for and respond to your baby during sleep training, your baby will learn and adapt to the method more quickly. Sleep training can be overwhelming and frustrating. We’re here to help. A sleep training expert can help you understand soothing techniques, feeding schedules, sleep routines, and Baby’s development. Schedule a free phone consultation, or get in touch with us online.